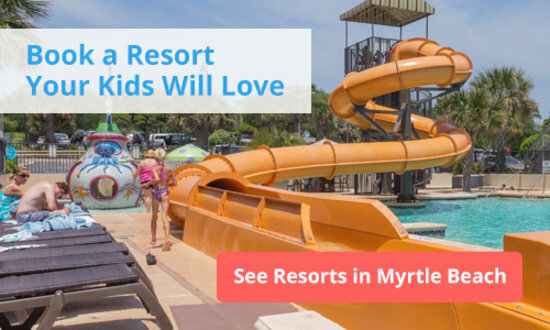 Considered the mini golf capital of the world, Myrtle Beach has so many mini golf courses that you could write an entire article just on pirate-themed mini golf courses. Mini golfing alone is one of the best attractions in Myrtle Beach. New ones keep showing up every year, adding to the classics. So where do you start? 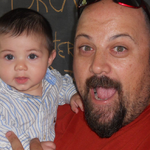 How do you go about choosing the right one for your family? I went through and tried to pick the widest variety of putt putt courses I could find. 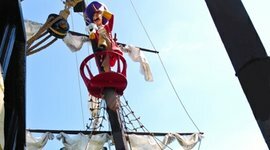 Yes, there’s only one pirate-themed course on the list, and only one medieval dragon course too. 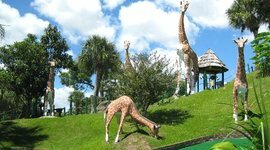 There are also plenty of great courses not on this list, but these ones should help you get a sense of the all different types of Myrtle Beach mini golf courses. 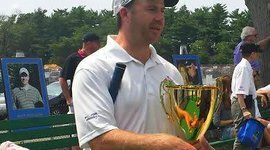 Every year, the best mini golfers in the world meet here, at Hawaiian Rumble to face-off in the Pro Mini Golf Masters Tournament. 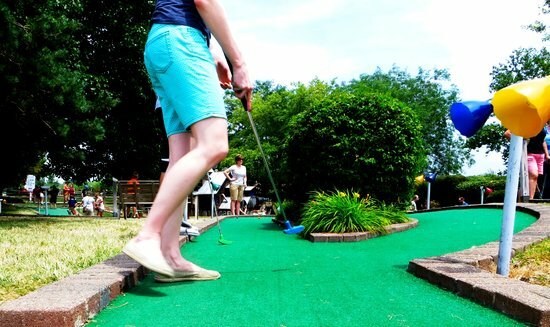 It may well just be the most famous mini golf course in the world and it’s located right here in Myrtle Beach! With tropical gardens, winding ponds, and a volcano that erupts with fire and smoke every 20 minutes, it combines excitement for kids with challenging holes for adults. It’s a Myrtle Beach mini golf course that follows a story. At each hole, kids get to play another chapter in the beloved adventures of Peter Pan. From the moment Peter flies in through Wendy’s window to pirate battles, mermaids, and flying ships, Captain Hook’s Mini Golf makes kids a part of the story. All the characters are there, Peter, Tinkerbell, the lost boys, and of course — Captain Hook. 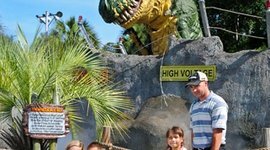 The course is part of Myrtle Beach Family Golf, which includes Dragon’s Lair, Jungle Safari, Jurassic Golf, and Shipwreck Island. They offer several packages of $35 per person where you can putt putt at their other courses. 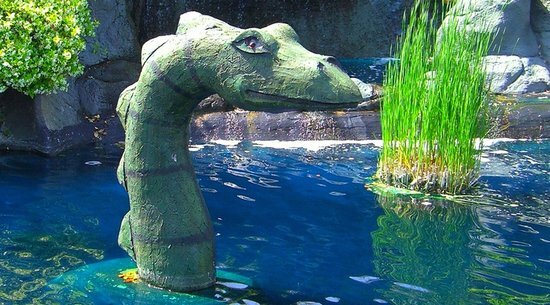 These two 18-hole mini golf courses take you into the lost world of Atlantis and other legends. It’s a mix of aliens, minotaurs, the Loch Ness Monster (gotta love nessy), gods, dodos, even Elvis and Einstein are thrown in. 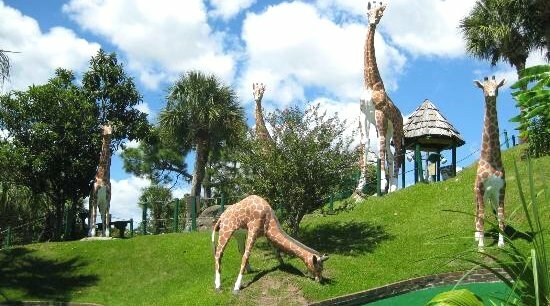 This Myrtle Beach mini golf course is a tribute to conspiracy theories and the mysteries of history. And it’s an absolutely huge course! This $3 million layout is entertaining to play, even if you’re not an avid mini-golfer, though putt putt purists might prefer something a little less wacky. Now let’s journey back into the time of knights, castles, and dragons. Dragon’s Lair features two 18-hole mini golf courses, the Viking Course and Dragon Course. The star of the show is a giant dragon that belches fire every 30 minutes. 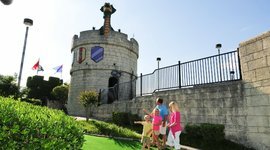 Part of the Fantasy Golf collection, this Myrtle Beach putt putt course tells a story as you play and the legend is part of the experience. The course wraps around the lake of the famed Broadway at the Beach entertainment complex, and is right next to dozens of other attractions, restaurants, and shops. The propeller on your airplane is busted and you’re going down! You crash land on a mysterious island, and thanks to your pilot’s excellent skills, no one is hurt, even the golf clubs are unscathed. By shear luck, you happened to land in a lush paradise with perfectly manicured putting greens. There’s only one thing left to do. Golf until you’re rescued! That’s the (likely survival) story here at Mayday Mountain and its sequel course, Rescue Falls, two 18-hole mini golf courses in Myrtle Beach that feature a massive replica plane and helicopter. Animatronic dinosaurs roar through the misty prehistoric jungle. The Predator Course is set in a mountain rainforest, offering you the challenge of rolling hills and tricky lies. 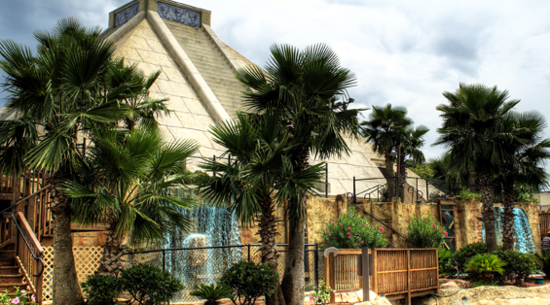 The Ice Age course tests your mini golf skills with fog that blocks a clear shot through its 18 holes. 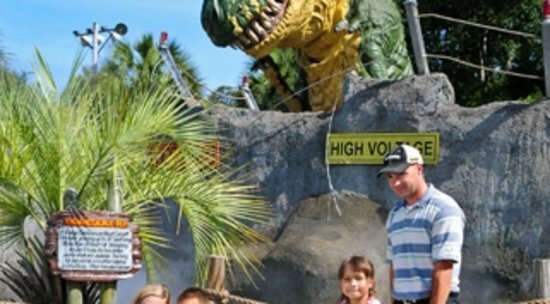 These two mini golf courses feature the only animatronic dinosaurs in the Grand Strand. It was originally nicknamed “The Death Star” by its competitors because it was “coming in to destroy everyone else” with its 50-tall-volcano structure that erupts with smoke and lava (kid-friendly magma). While this volcano island course is spectacular in its own right, it’s what’s on the inside that really sets it apart. 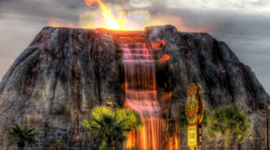 There’s a whole other 18-hole mini golf course tucked inside the magma chambers of the volcano. Ironically, it’s very well air-conditioned. So, on the hottest days of the year, mini golf enthusiasts flock inside the volcano to cool down! Molten Mountain is part of Paradise Adventure Golf, which includes Mutiny Bay and Cancun Lagoon. For $30 you can play on all three over the course (no pun intended) of seven days. The ancient Mayan temple of Chac looms over this mini golf course in Myrtle Beach, cascading with turquoise blue water to simulate the crystal clear seas of the Mayan Riviera. Storms erupt from inside the pyramid as you pass through it, wrath from the god of lightning and thunder. The skeleton of a warrior king lies in a grave, still clutching a pink golf ball. His score was too high! Let’s hope you fare better. Check their website for mini golf discounts at this course. You’re gonna need a bigger putter! 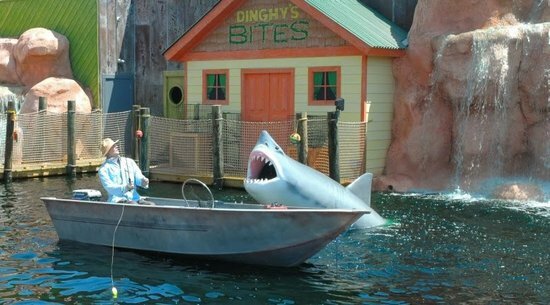 Shark Attack Mini Golf conjures Jaws. The 36-hole double course is built around a small lagoon where a great white shark emerges every 15 minutes to take a bite out of a fisherman’s dingy – a big hit with the under-12 crowd. The newest mini golf course in Myrtle Beach, it’s also the only one that overlooks the ocean. You’re right above the boardwalk, so you’ve got a nice place to stroll around after you’ve made par. Jungle Lagoon is a cult classic! Some of its more diehard fans have been known to use it as the backdrop to their wedding photos. It’s quite the course. Filled with nearly life-size animal sculptures and flora resembling Hawaiian paradise, its very transporting. And then there’s “The Big Hill.” Hole 11 rolls down a mountain with three different routes to play the hole. It offers a challenge with hundreds of possible scenarios and strategies. And it’s not bad to look at either. 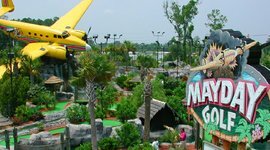 You’re treated to a panoramic view of Myrtle Beach from the top of this putt putt course.